5" x 10" Kraft (25 Pack) #00 Self-Seal Bubble Mailers w/Tear Strip. 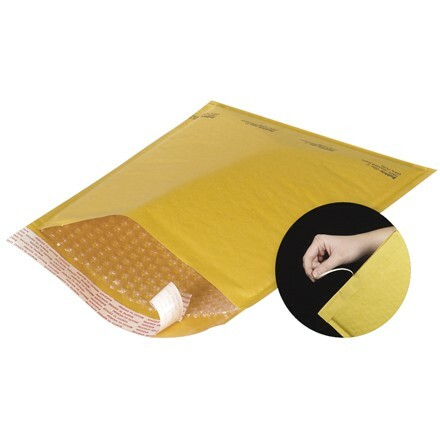 Bubble lined mailers provide light-weight protection for your products. Mailers feature a 3/16" high slip bubble lining for easy insertion of products. Peel and stick lip provides a secure, tamper evident closure. Pull tear strip for quick and easy opening. Recycled golden kraft paper exterior.